Survivor Series 2018 will air from the Staples Centre, Los Angeles on November 18th. 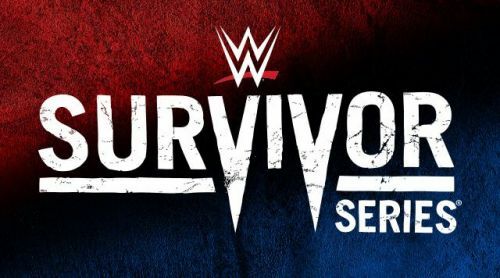 With the polarizing Crown Jewel show out of its way, WWE can now divert their focus to one of the biggest shows of the year, Survivor Series, which emanates from the Staples Centre in Los Angeles on the 18th of this month. Like all the recent editions of the PPV, this year too will see champions from both the major brands collide in non-title action to claim bragging rights over their respective counterparts from the other show. This year, however, things look much more exciting than usual heading into the show as there are some genuine champion vs. champion clashes that fans are clamoring to see unfold. Dream matches, epic rematches and intriguing combinations are the flavour going into the show and all that's needed is to maintain the fans' interest through the weekly broadcasts. Before we begin dissecting each match, it should be made clear right off the bat that at a glance, RAW looks to be on a much bigger advantage given the lineup of champions it boasts as opposed to it's Tuesday night counterpart. With that said, let's dive into the four major champions' clashes that are (probably will be) announced for Survivor Series. It's always risky to put together a heel vs. heel program because of the fans' resentment towards both the parties and no redeeming factor in the match. However, if there's one thing we can almost guarantee for this one are reactions to the action at Survivor Series, considering the high pace at which The Bar competes and the sheer dominance AOP has displayed on RAW lately. This match can easily be the one to open the show and rile up the crowd at Survivor Series with it's over-the-top and high paced action. Still, there's a slight possibility that The Bar drops the title to The New Day leading up to the show, in order to give the clash a classic babyface vs. heel dynamic. 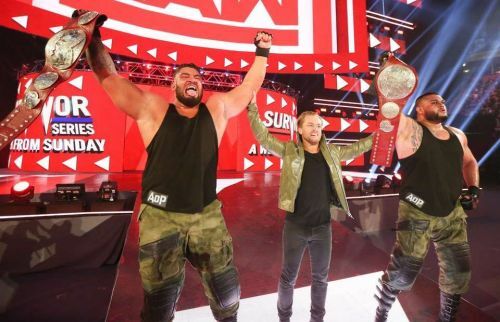 Even if that turns out to be the case, however, there's no rhyme/reason for AOP to be losing in their first high profile match on the main roster, and that too after becoming champions on RAW for the first time. On the other hand, both The Bar and The New Day have cemented themselves so strongly in the tag division that they're practically loss proof at this point. Either team can lose in a well-wrestled match and come out equally or more over. This one, hands down, has to and most probably will go to AOP. SK's Take: WWE Planning A Blockbuster Women's Match at Survivor Series?